Hobby Masters Models: one limited edition, collectible die cast airliner model in 1/200th scale of an Douglas DC-4 (C-54A Skymaster) in the Air France Old 1950?s Colors. With titles "Ciel d' Artois". Airframe Registration F-BBDF. The model is constructed of molded plastic parts. This product was released in October, 2001. Hobby Master Models: one limited edition collectable, die-cast metal airliner model in a 1/200th scale of a Douglas DC-3 (C-47 Dakota) in the Australian National Airways Old 1950's Color Scheme. Airframe Registrations VH-INC. This model is constructed of die-cast metal with some plastic parts. This product is available beginning in November, 2015. Hobby Masters Models: one limited edition, die-cast airliner model in a 1/200th scale of a Douglas DC-6C in the BALAIR Airlines Last 1970’s Colors. Airframe Registration HB-IBS. This model is constructed of die-cast metal with some plastic parts. This product is available beginning in October 2013. 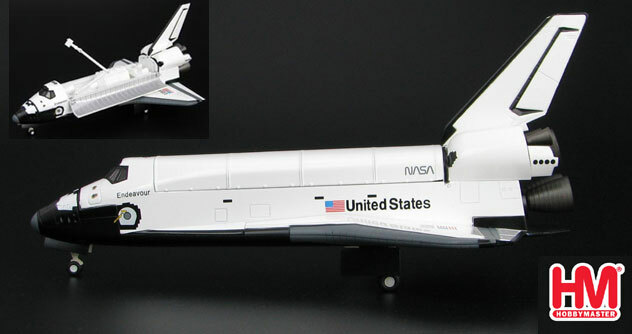 Hobby Masters Model: one limited edition, collectible die cast airliner model in 1/200 scale. All construction is made of metal with some plastic parts, of an Vickers Viscount 802 in the British European Airways Old Colors. Airframe Registration G-AOJB. Released February, 2010. Hobby Masters Models: one limited edition, collectible die cast airliner model in 1/200 scale of an Vickers Viscount 700 in the BMI - British Midland Airways Original Delivery Colors. Airframe Registration G-AWCV. The model is constructed of die-cast metal with some plastic parts. This product was released in July, 2011. Hobby Masters Models: one limited edition, collectible die cast airliner model in 1/200 scale of an Douglas DC-6A in the British Eagle Int'l. Hobby Masters Models: one limited edition, collectible die-cast metal airliner model in 1/200th scale of an Canadair DC-4M-1 North Star in the Canadian Pacific Airlines Old Colors. With titles Empress of Vancouver. Airframe Registration CF-CFR. This model is constructed of die-cast metal, molded with some plastic parts. This product was released in Released January, 2013. NOTE: The Box for this product is DAMAGED. Unfortunately one of the Box Corners was DAMAGED in-transit. The Product and all of it's contents are OK. ONLY the one side/corner of Box is DAMAGED. 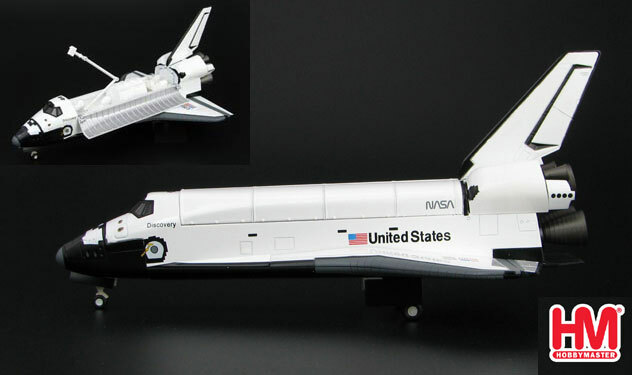 Hobby Masters Model: one limited edition, collectible die cast airliner model in 1/200 scale. All construction is made of metal with some plastic parts, of an Vickers Viscount 843 in the China United Airways Old Delivery Colors. Airframe Registration 50258. This models is available as of April, 2010. Hobby Master Models: one limited edition, collectible die cast airliner model in 1/200th scale of an Douglas DC-4 in the Delta Air Lines Old Delivery Colors. Airframe Registration NC37472. The model is constructed of die-cast metal molded with some plastic parts. This product was released in November, 2011. 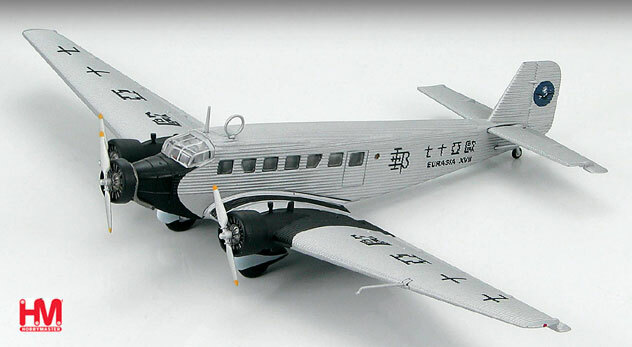 Hobby Masters Models: one limited edition, collectible die cast airliner model in 1/144th scale of an Junkers JU52-13m in the Eurasia Airlines Old Delivery Colors. Airframe Registration XVII. The model is constructed of molded plastic parts. This product was released in October, 2001. Hobby Masters Models: one limited edition, collectible die cast airliner model in 1/200 scale of an NEW Mold Douglas DC-2 in the Holyman?s Australian Airways Original Delivery Colors. Airframe Registration. VH-USY. The model is constructed of metal with some plastic parts. This product was released in February, 2011. Hobby Masters Models: one limited edition, collectible die cast airliner model in 1/144 scale of an Junkers JU52-13m in the Iberia Airlines of Spain Airlines Old Colors. Airframe Registrations EC-AAJ. The model is constructed of die-cast metal with some plastic parts. This product was released in June, 2011. 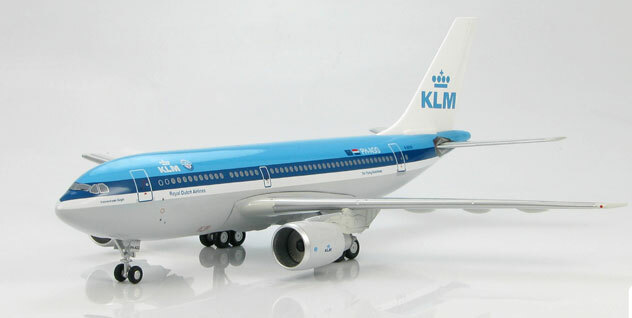 Hobby Masters Models: one limited edition, collectible die cast airliner model in 1/200 scale of an Airbus A310-304 in the Interflug Airlines ?Hybrid? Colors. Airframe Registration DDR-ABB. The model is constructed of die-cast metal with some plastic parts. This product was released in June, 2011. 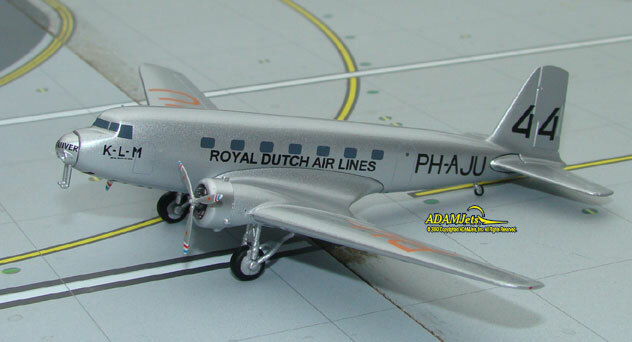 Hobby Masters Models: one limited edition, collectible die cast airliner model in 1/200 scale of an Douglas DC-2-115E in the KLM ? Royal Dutch Airliners Old Colors. Airframe Registrations PH-AKH. The model is constructed of die-cast metal with some plastic parts. This product was released in June, 2011. 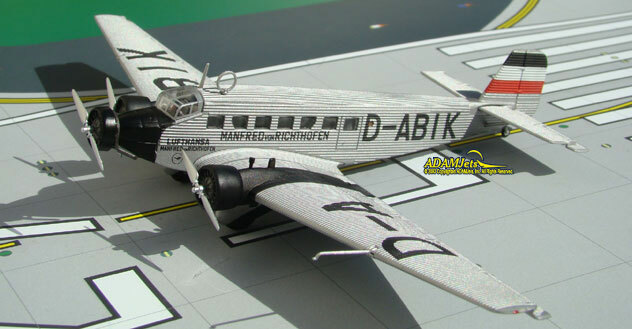 Hobby Masters Models: one limited edition, collectible die cast airliner model in 1/144th scale of an Junkers JU52-13m in the Lufthansa Airlines Old Colors. Airframe Registration D-ABIK. The model is constructed of die-cast metal with some plastic parts. This product was released in December, 2010. Hobby Masters Models: one limited edition, collectible die cast airliner model in 1/200 scale of an Lockheed L-188C (PF) Electra in the Northwest Territorial Airways Old Colors. Airframe Registration C-FIJR. The model is constructed of die-cast metal with some plastic parts. This product was released in November, 2010.